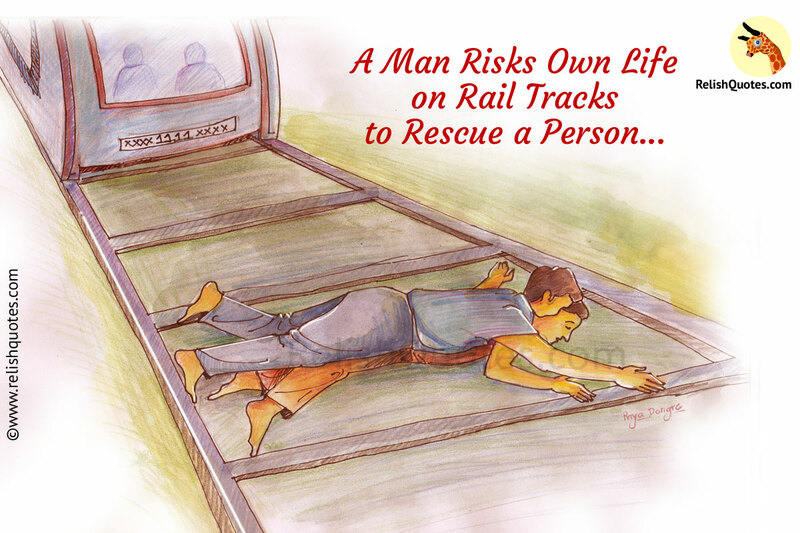 Unbelievable True Story – A Man Risks Own Life on Rail tracks to Rescue a Person! It was the month of January in 2007 when, just like another usual day, Cameron Hollopter was waiting for his Subway train at one of the busiest stations in one of the busiest cities of the world-New York. Little did he know what fate had in store for him. While standing on the platform, he had a brain stroke and he convulsed and fell on the platform of the subway station. In his effort to stand back up, he fell right onto the tracks just to see the train approach straight to him from round the corner. Enters construction worker and a veteran of the Navy named Wesley Autrey who was busy talking to his two girls while his eyes say all of this happening. Taking the most, the quick and impulsive decision you might have ever come across, without giving a second thought he jumped the tracks and Autry covered the entire body of Hollopeter completely. Till the time, the train engine driver pushed the stop button five train cars had crossed both of their bodies, with mere inches away from Autrey’s head. You never know when an act of kindness you did might pay you back and, where angels might be in disguise and come in as life saviors. Do not think or hesitate before helping someone. No one knows when tough times might come and devastate the normalcy of one’s life. A deed done in kindness goes a long way.